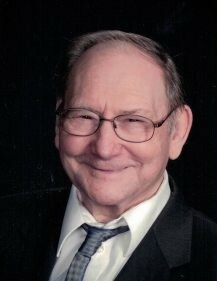 Carl Edward Reagle, 80, of Punxsutawney passed away on Wednesday, March 27, 2019 at home. Mr. Reagle was born in DuBois on November 30, 1938 to the late Donald and Ruby (Frantz) Reagle. He married Beverly E. Reitz on August 7, 1971. Beverly survives and resides in Punxsutawney. Mr. Reagle was quite a man. He never quit, or said, “I can’t” despite the adversities he faced daily as a result of his enduring physical condition. Rather, he forged ahead and looked at the world as an opportunity and not as a challenge. Mr. Reagle was a graduate of the DuBois Business College and an accountant by trade. And, it wasn’t just a job to him. It was a passion. It was a way of life that he enjoyed very much. He worked hard throughout his life and was self-employed as the owner of Reagle Notary in both DuBois and Big Run. In addition, Carl was the Gaskill Township auditor. He had previously worked for several car dealerships keeping the books as well; Johnson Motors, Suburban Toyota, and Lellock Chrysler/Dodge. Mr. Reagle not only worked long hours making a living, but he was also generous with his time … a very giving man who regularly gave back to the community in which he served. He attended the Alliance Church in DuBois and Punxsutawney and was involved with endeavors with the church and the men’s group. In his younger years he also liked to hunt and fish with his dad and family. He really enjoyed watching wildlife and had the opportunity to visit Montana to take in the beauty and nature. He practically knew everyone for miles around and always had time to tell a joke and loved teasing with kids. Perhaps one of his greatest attributes only second to kindness and his work ethic was his unique sense of humor. He could make anyone laugh, and was noted for his many metaphors like, “Finer than Frog Hair”. Mr. Reagle was a man of great character and will be missed by all who knew and loved him. In addition to his wife, he is survived by four children, Doug Reagle and wife Kathy of DuBois, Jon Reagle and wife Milissa of DuBois, Renee Myers of Punxsutawney, and Kathy Wymer and husband Jerry, Jr “JJ” of Punxsutawney; eleven grandchildren, David Reagle and wife Ashley of Treasure Lake, Jessica Reagle of Reynoldsville, Sonya Halko and husband Trey of Brockway, Megan Reagle of DuBois, Courtney McDonald of New York, Eric McDonald of Mercer, Raeanne Reynolds of Pittsburgh, Heather Territo and husband Jayson of DuBois, Stephanie Maksymenko and husband Sergeo of DuBois, Kaleb Wymer and Kyle Wymer of Punxsutawney; fourteen great grandchildren and one on the way; one brother, Glenn Reagle and wife Joan of Stump Creek; three sisters, Patricia Fox of Punxsutawney, Darlene “Kay” Pearce and husband Richard of Punxsutawney, and Linda Helsel of Florida. Preceded in death by his parents, and two brothers, Ted and Larry Reagle. Friends will be received from 4-8 p.m. Friday, March 29, 2019 at Shumaker Funeral Home, Inc., Big Run and from 10 a.m. until the time of service at 11:30 a.m. Saturday at Punxsutawney Alliance Church, officiated by Pastor’s Don Jones and Jon Sutton. Interment will be at McClure Cemetery, Big Run. Memorial donations may be made in Mr. Reagle’s memory to Mahaffey Camp and Conference Center, (childrens scholarship fund) PO Box 277, Mahaffey, PA 15757.